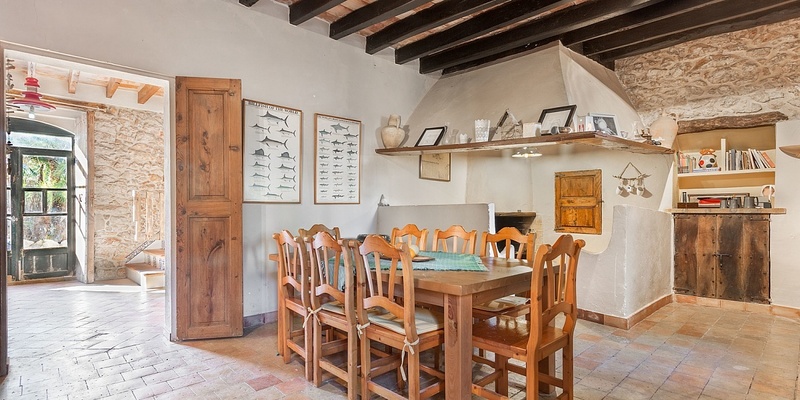 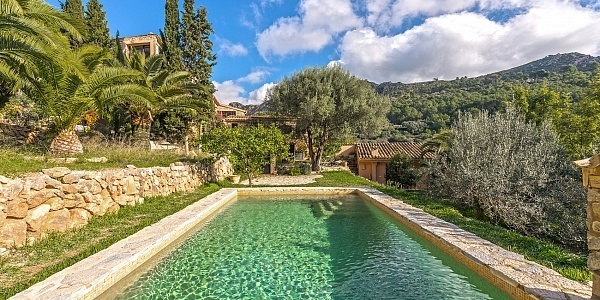 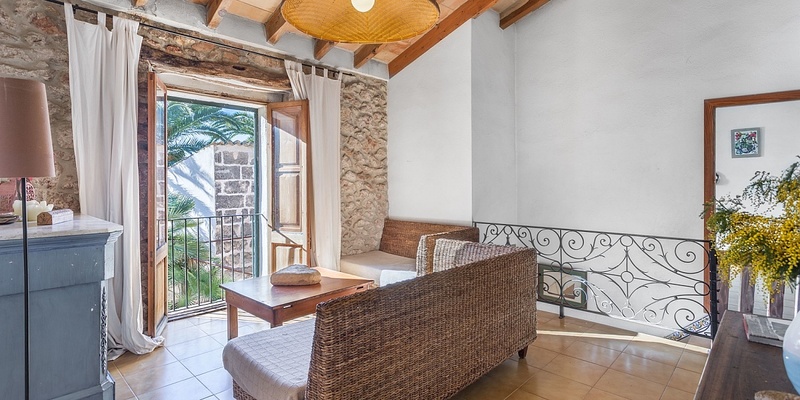 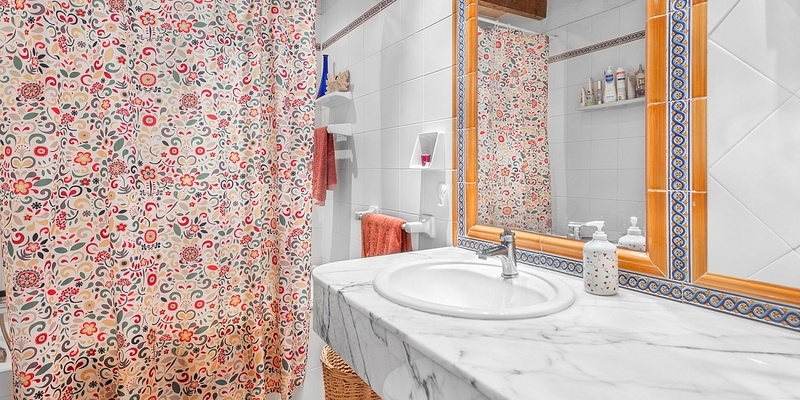 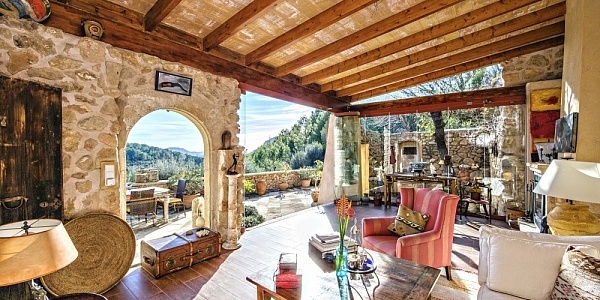 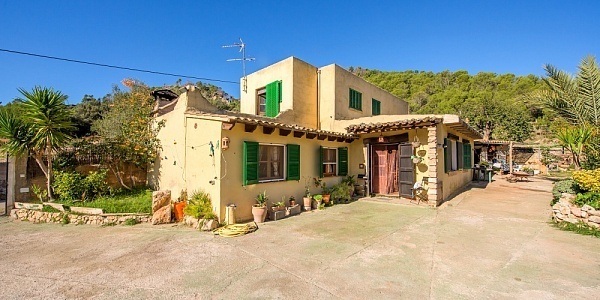 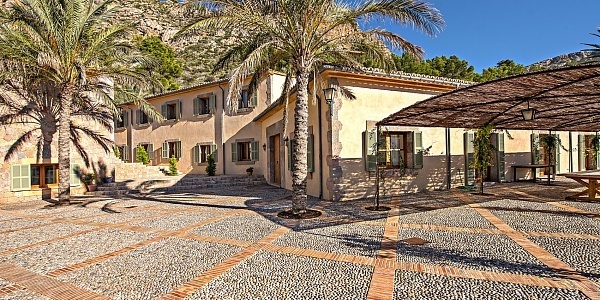 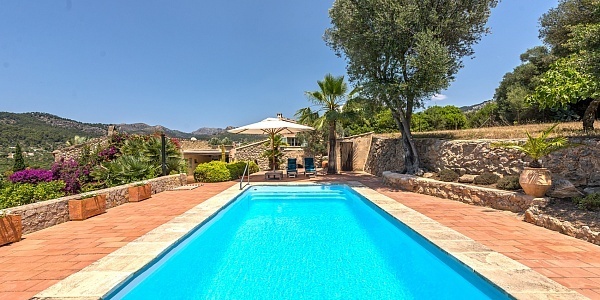 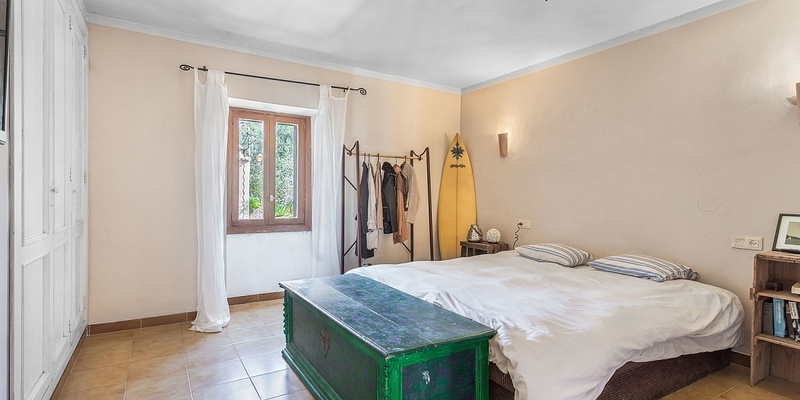 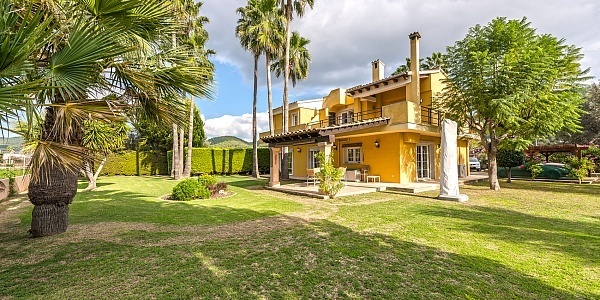 This beautiful old country house is set in a peaceful surrounding near all amenities in the town of Andratx. 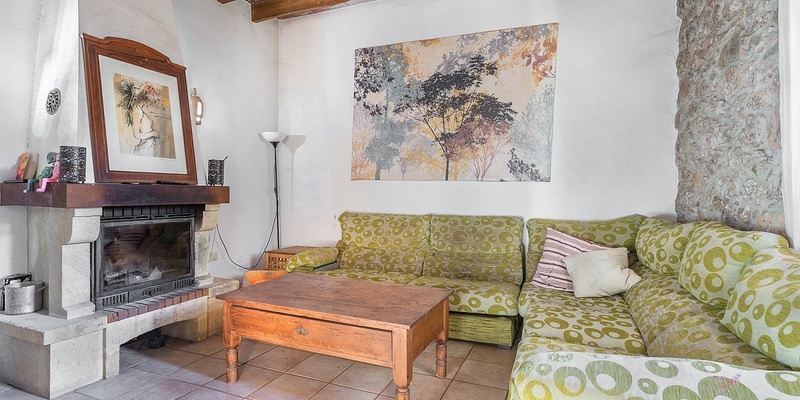 The south facing house offers a large and sunny patio terrace and a small garden. 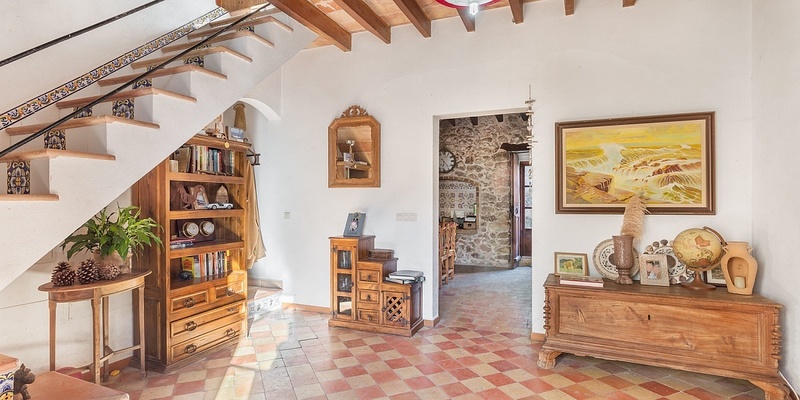 The old wooden doors lead into a grand entre on the ground floor. 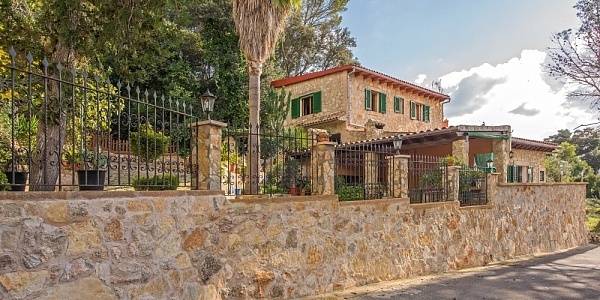 Further there is a living room with an open fireplace, a cloak room, one bedroom/study, a large dining and living room with a typical mallorquin fireplace and a kitchen with a pantry. 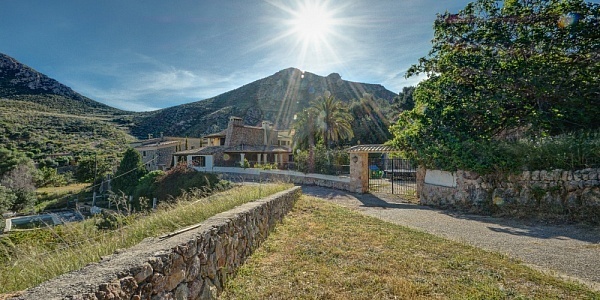 The first floor includes a third living room, two bathrooms, five bedrooms and a large sunny terrace overlooking the mountains. 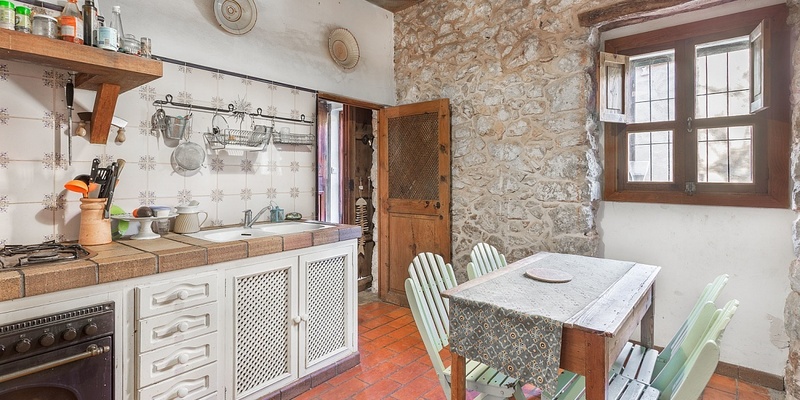 The generous garage also houses the laundry room. 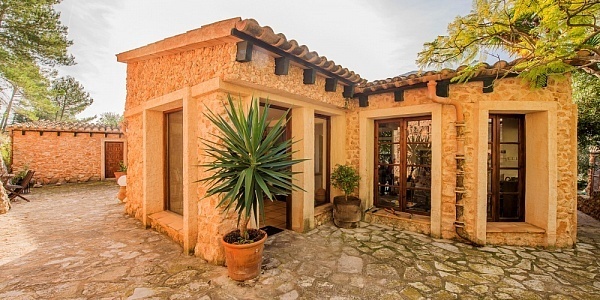 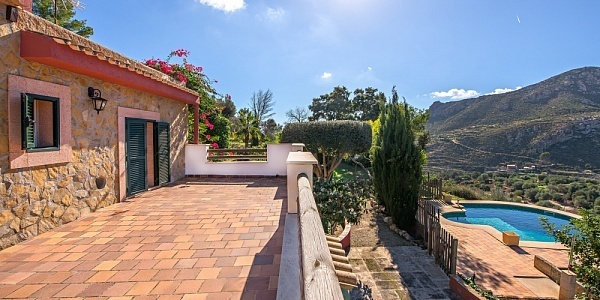 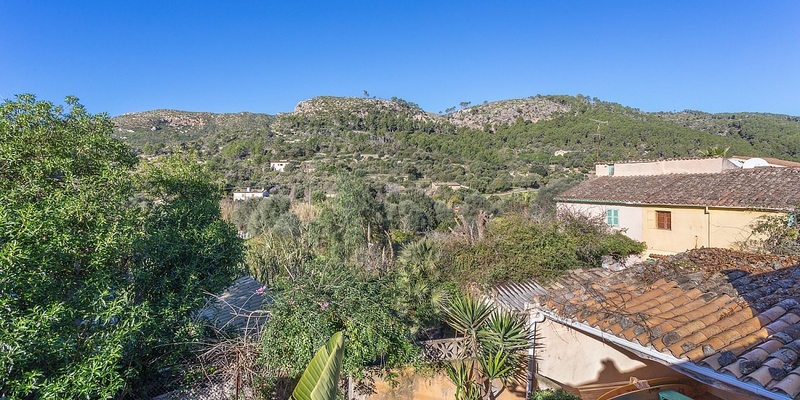 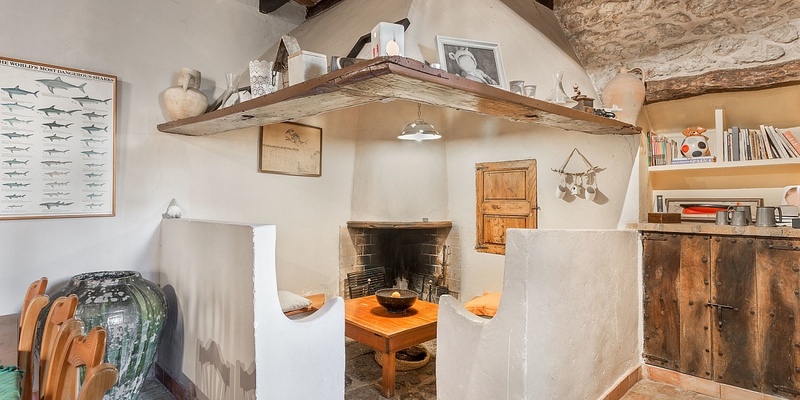 Moreover, the outdoor area includes a covered terrace next to the garden and a small BBQ house with a typical Mallorquin oven as well as a fireplace.